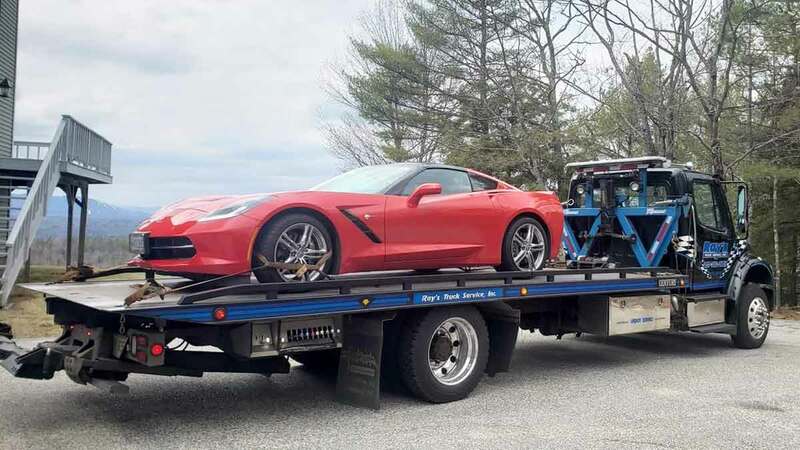 Local towing company, Ray’s Truck Service is your source for fast, local towing in Saco, ME, and along the I-95 Maine Turnpike in Southern Maine between Portland and Portsmouth. Our light duty flatbed tow trucks and wreckers are operated by skilled and certified operators who are prepared to solve your emergency towing or recovery challenge anytime – 24/7/365. Call 207-282-0059 now to get a truck dispatched to your location. Ray’s Truck Service provides immediate response towing throughout Saco, York County and along I-95 in Southern Maine. As the biggest towing company in Maine, our fast and affordable towing services provide trucks throughout the area and can immediately respond with the truck closest to you. Our local towing services include: Car Towing; Light Duty Towing; Flatbed Towing; Motorcycle Towing; Antique Car Hauling; and Emergency Towing. 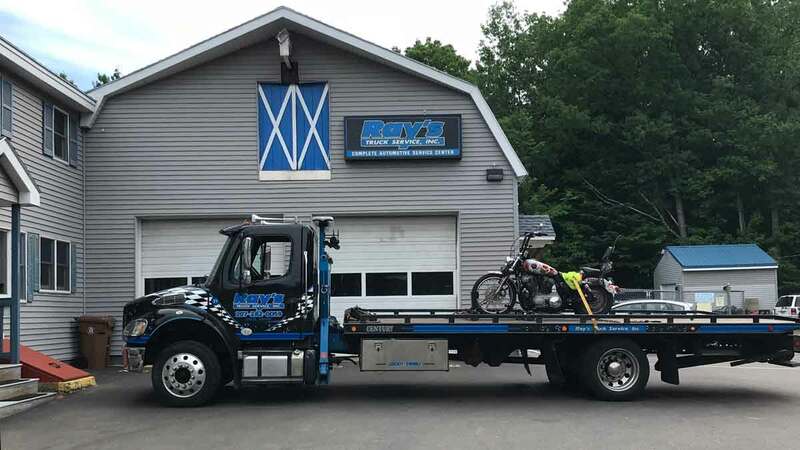 Ray’s Truck Service offers fast and affordable motorcycle towing throughout York County and along the I-95 Maine Turnpike in Southern Maine. We understand just how important your bike is to you and are committed to quality, safe and affordable motorcycle towing. Our operators use motorcycle dollies and flatbed trucks and are experienced in securing motorcycles to ensure your bike has a safe and smooth ride. Call our dispatch center now at 207-282-0059. Ray’s Truck Service has experience with off road recovery including accident towing and recovery. 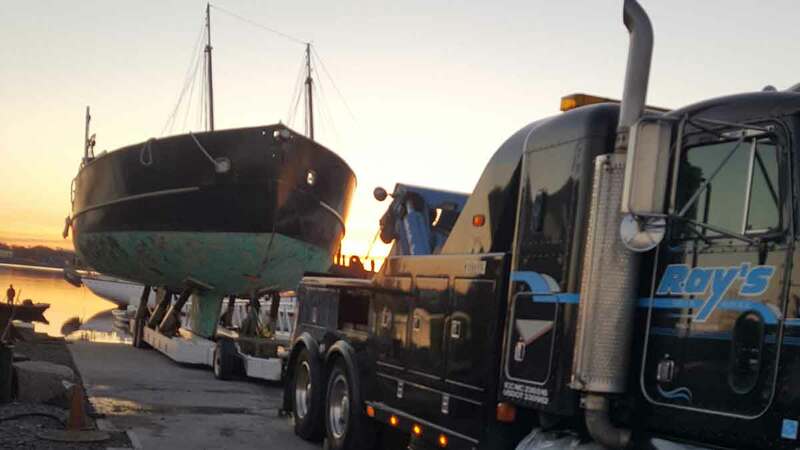 With over 200 years of towing and recovery experience on staff and a fleet of late model towing equipment, we are prepared to solve your recovery issue as quickly as safety allows.